Public colleges and universities are an attractive option for students concerned about the costs of nursing education. Public schools charge lower tuition than their private counterparts because they are partially subsidized by the state government. As a result, Michigan residents can enjoy significantly lower tuition at prestigious schools like University of Michigan and Lake Superior State University. Both universities offer a breadth of highly regarded nursing programs. First-time nursing students can pursue a certificate, associate’s degree, or bachelor’s degree at many of Michigan’s public colleges and universities. Graduates from a 12- to 18-month certificate program in practical nursing may seek employment as licensed practical nurses (LPNs). 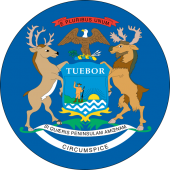 Michigan is home to 16,000 LPNs who earn a median annual salary of $43,000. Graduates from a two-year associate’s or four-year bachelor’s degree program may seek employment as registered nurses (RNs). Michigan employs 90,000 RNs who earn an average of $65,000 per year. Career prospects for both nursing roles are bright. Major healthcare providers throughout the state, including Tenet Health and Munson Medical Center, are constantly looking for new nurses to join their teams. Existing nurses may advance their careers by pursuing a master of science in nursing (MSN) at one of Michigan’s public universities. MSN-holders are qualified to serve as advanced practice registered nurses (APRNs), filling specialized roles like nurse practitioner, nurse midwife, and nurse anesthetist. APRNs enjoy a salary 35-100+% higher than that of a typical RN. Thus, it can be extremely worthwhile to invest in graduate nursing education. To help Michigan’s current and future nurses better understand their education options, we have compiled below a complete list of the state’s public nursing schools.